Aimed at informing participants in the fundamentals of liquid piping systems, KASA Redberg will hold its annual liquid piping courses in Perth on the 13th and 14th October, and in Brisbane on the 27th and 28th October. 40 percent of the total engineering time expended in designing, installing or commissioning a plant. Despite piping systems accounting for such a large proportion of overall plant expenditures, KASA Redberg notes that many businesses still make errors with regard to the design of these systems. 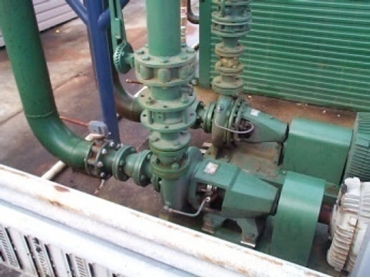 For example, incorrect selection of piping materials, end connections, valves, fittings and support systems are all too common in industry. The purpose of these two day liquid piping courses is to provide basic instruction on the design, operation and maintenance of liquid piping systems. determine the correct pipe schedule for an application. understand cavitation and water hammer. KASA Redberg requires that delegates attending the liquid piping courses have an understanding of mechanical components, with diploma or degree level experience in engineering maths an added advantage. anyone who needs to select, specify, commission, install and/or maintain liquid piping systems and pipelines.